Even though we sell organic skin care, we’ll be the first to tell you that the first step to glowing, radiant skin is a good diet. But while we like a protein-packed smoothie and organic granola as much as the next person, we don’t like spending so much time and money to find them. This is a common reason that people sometimes choose not to eat high quality, organic foods: the price tag. And it’s understandable. Paying a few dollars more for that organic peanut butter, extra virgin coconut oil, or gluten-free bread mix can really add up over time. So when we discovered a new resource that makes shopping for healthy groceries much easier and less expensive, we were very, very excited. It's called Thrive Market, an online shopping club offering organic, non-GMO foods, and natural products—things you already buy, like Dr. Bronner’s soap, fair trade chocolate, and Bob's Red Mill flours. The best part? 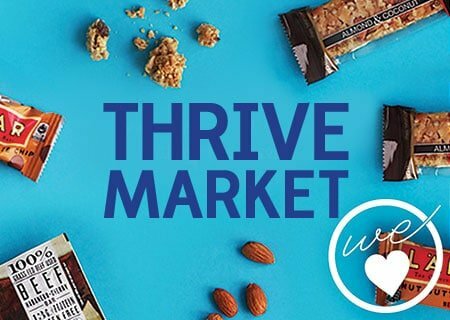 Everything on Thrive Market sells at wholesale prices, between 25-50% lower than in stores. Imagine if Whole Foods started selling online, at Costco prices, and they delivered. That's Thrive. One cool way to use it is to send gifts to family and friends, maybe those who live in an area where healthy products aren't so readily available. Click here to find out how you can get a deal with Thrive Market! What does eating with Thrive Market look like? Here's a recipe from Lisa, our Affiliate Manager who also happens to be an amazing cook. It includes several ingredients you can find on Thrive, like gluten-free tamari, organic Sauerkraut, and extra virgin olive oil (at a fraction of the cost you'd normally pay). 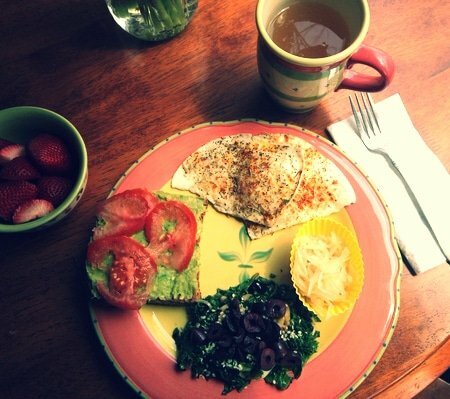 This breakfast is perfect for a Saturday morning when you want to slowly savor something super yummy and nourishing. 1. Sauté your greens in a pan with garlic and extra virgin olive oil on low-medium heat for about 3-4 minutes, until greens begin to wilt. Season with tamari and top with sesame seeds and kalamata olives. Remove and put on a plate. 2. In the same pan as you used to cook the greens, add coconut oil and adjust heat to medium. Once coconut oil melts, add your eggs to the pan and cook them in whatever style tickles your fancy. When they’re ready, sprinkle your spices on top. Place eggs next to your greens. 3. Mix avocado and miso together, then spread lightly on toasted bread. Add sliced tomatoes on top. Plate it! 4. Add your Sauerkraut to your plate, with a bowl of berries (or whatever fruit you have on hand) on the side. Enjoy with herbal tea or hot water with lemon. Ingredients you can get from Thrive: extra virgin olive oil, gluten-free tamari, organic kalamata olives, raw coconut oil, organic Sauerkraut, and organic spices. What’s awesome about this recipe is that it’s totally customizable. You can keep the non-perishable ingredients on hand and adjust the recipe according to what produce you have at the moment. Thrive truly wants everyone to be able to afford foods and products that are good for their body. So for every paying member who joins, they donate one free membership to a family in need. This is the kind of mission driven business we feel really good about supporting. We're on Thrive Market, and we think you'll get a lot out of using it as well. So we put together this special offer for you to get a discount on your groceries. You can use it and decide if it's right for you and your family, and maybe even try some new products you wouldn't have otherwise! Here’s hoping you enjoy these great deals as much as we have! Every month, we feature a product or company that has wowed us. We choose things that make your healthy lifestyle better, like phenomenal supplements or delicious raw chocolate. You can subscribe to We Heart to stay in the loop about our monthly picks (and sometimes score some great deals on them!). Many of us turn to you as an alternative to mainstream products because we have medical problems/intolerances/conditions. Maybe these could be taken into consideration as well. For example: soy – Miso sauce… we really need someone to be tolerant to our needs way beyond gluten and dairy intolerances. Or be upfront and add the main ingredients of the additives you use. Please do not see this as anything adverse, merely a suggestion. Thanks! We have lots of recipes on our blog that don’t have soy 🙂 You could certainly make this recipe without the miso and it would still be yummy. Hi there! What a great offer! I would like to see what some of the prices are before signing up for a trial to compare with my current shopping. Is that possible? I used your link to register but do not see the 2 months free membership $10 off promo mentioned above reflected anywhere in my account. How can this be updated/corrected/reflected in my account? Hi Roubina! It sounds like you were able to register without paying the free, which means that you received the promotion. 🙂 Feel free to email michelle @ thrivemarket.com if you have any more troubles. Sounds great! I have made multiple attempts to get past the opening screen and join, but the system tells me I’m logged on and won’t go any farther. Is this a browser-related issue? Should I communicate directly with Thrive Market’s help folks? Hi Claudia. I had this same problem. Try refreshing the screen. You should then be prompted to create a password. Tried the alternate link in your email and seem to be connected. NO idea why the other was a dead end. Never mind, and thank you. I clicked on the website through the email that you sent me, but there is difficulty in registering. It states it has my email, which I hadn’t given it yet, and when I request that I forgot my password, it was a repetitive cycle where it would re-route me to the same page over and over again. When I tried to register it stated that I would get one month free?? Anyway, has anyone else had an issue? Any help would be appreciated. Thanks! Hi Amelia! I am so sorry for the login difficulties and I have forwarded your message to our tech team so that they can look into this. I reset your password for you and sent instructions to your email so you should be able to log in now. I hope that you enjoy placing your first order and please always feel free to reach out to [email protected] if there’s anything that we can do to assist! Does this apply to those of us in Canada? Hi Amanda! We are currently unable to ship to Canada but we would love to offer this option in the future. If you email us at [email protected] with your name and location, we will add you to our list of people to notify when shipping to Canada becomes available. In the meantime, thanks so much for your interest in Thrive Market! I am away on a 3 week vacation at this moment but am very interested in this idea. If you are offering 2 months free I would only like to start at the beginning of June. I have 6 kids and all their lives I fed them health foods to the best of my ability. Now they are married with kids I am very saddened to see they can’t afford the foods they deserve to feed their children. I have been thinking for a long time how to help them do this. 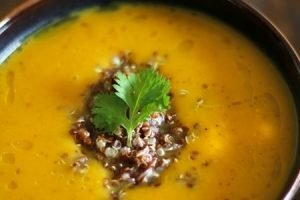 I have not looked at your website but I will be over the moon if this can help them in any way to eat a better quality food and use natural products. This sounds like the perfect way for you to help your family eat the healthy foods they deserve. Just so you know, this offer will be available for the forseeable future, so if you want to start your 2 months of free membership in June, you can do that! Simply go to https://www.annmariegianni.com/thrivemarket to get your discount.